Jack Brabham took a step closer to the title by winning the German GP at the Nordschleife, his fourth consecutive win of the season, all driving for his own team. He didn’t have it all his own way, and only passed John Surtees’ Cooper for the win with a couple of laps to go. In order to boost the size of the grid, the FIA allowed F2 cars to enter the race as well. This pack of cars was headed by a young Jacky Ickx, although tragedy struck on the opening lap. Ickx collided with privateer John Taylor, who suffered horrendous burns in the fiery crash and passed away a month later. Rene Arnoux took a dominant victory for Ferrari, ahead of Andrea de Cesaris who managed to get through the race without either crashing or his Alfa Romeo breaking down - a rare combination. In third was Riccardo Patrese in what was his first actual race finish of the year - an amazing stat, given that his Brabham teammate Nelson Piquet was well on the way to winning his second title. 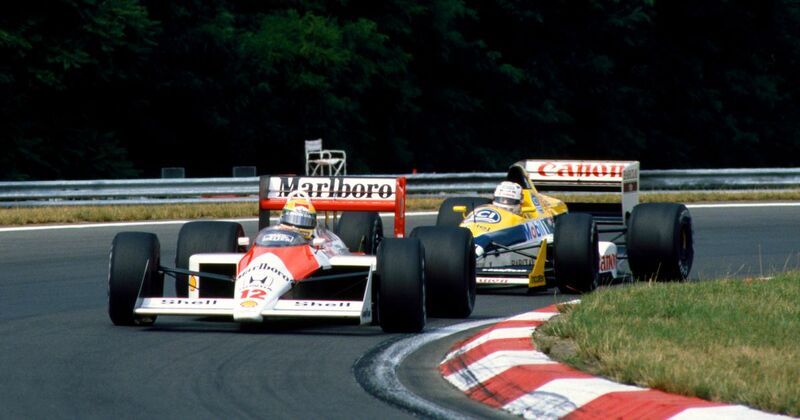 It was business as usual for McLaren as Ayrton Senna led Alain Prost to yet another crushing 1-2, but further back Nigel Mansell was making waves. He’d been advised not to race after contracting chickenpox in the build-up, but did so anyway, because he’s Nigel Mansell. At one point he was running as high as second but ended up retiring from eighth place late on as he was just feeling too unwell. As a result, he missed the next two races. Most importantly, however, is the fact that 7 August is the birthday of Dave Morgan. I don’t mean to insult your intelligence by explaining who he is (because we’ve all heard of Dave Morgan, right? ), but for those who don’t know, he’s the driver who entered a single world championship grand prix for Surtees (at Silverstone in 1975) and was classified 18th after being one of the many drivers caught out in the downpour.